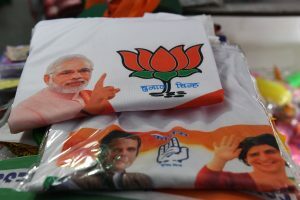 Even as the UP party leaders preferred to remain non-committal on the subject of Priyanka contesting from Varanasi, the shifting of former Congress MP Rajesh Mishra to Salempur has set the rumour mills churning. She especially interacted with women and children who flung garlands and flowers on the Congress general secretary. 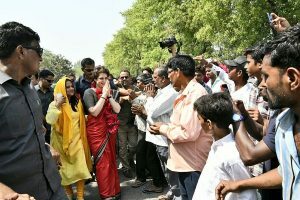 Addressing a road side meeting during her road show, the Congress general secretary stressed on the need of creating awareness. 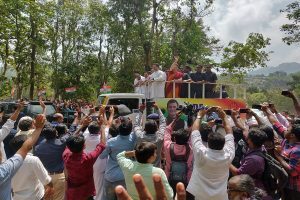 Wayanad will witness a triangular contest between Congress' Rahul Gandhi, CPI's PP Suneer and BJP's Thushar Vellappally. 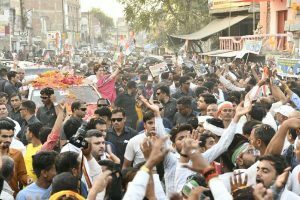 On the third day of her campaign in Uttar Pradesh, Priyanka Gandhi held a mega road show in the temple town covering a distance of over 15 km. 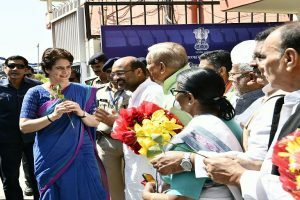 Priyanka Gandhi Vadra is visiting Faizabad and Ayodhya in the last leg of her three-day Uttar Pradesh visit. 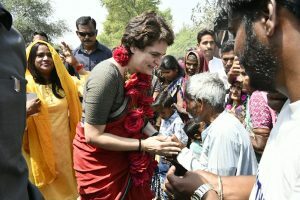 Priyanka Gandhi on Wednesday began a three-day election tour of Amethi, Raebareli and Ayodhya. 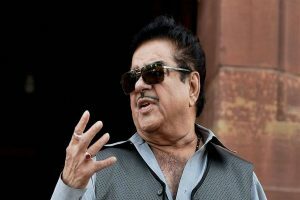 The BJP has dropped Modi critic Shatrughan Sinha from its list in Bihar and announced Union Minister Ravi Shankar Prasad as its candidate from Patna Sahib. 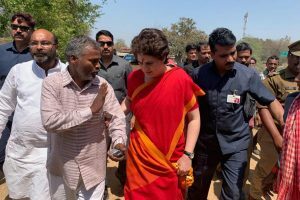 Priyanka Gandhi Vadra, the Congress general secretary for eastern Uttar Pradesh, will visit Ayodhya as part of a three-day tour of the region starting 27 March. 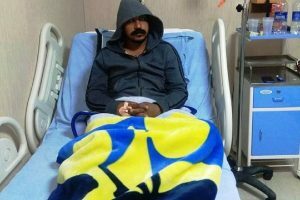 Both Rahul and Priyanka Gandhi were half right when they attacked the Prime Minister for overdoing his self-publicity. 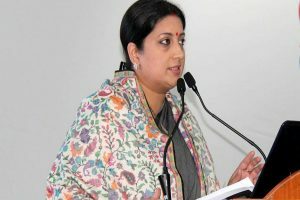 The editorial went on to claim that Mayawati's prime fear is the Congress and not BJP and one of the reasons for her not contesting is Priyanka Gandhi Vadra's foray in active politics. 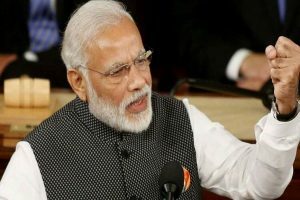 The BJP leader also took a dig at the Congress over a woman's accusation that its workers behaved inappropriately with her. 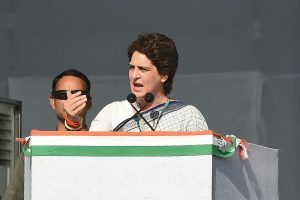 Priyanka Gandhi is scheduled to undertake a boat ride from Prayagraj's Chhatnag to Assi Ghat in Varanasi, the parliamentary constituency of Prime Minister Narendra Modi. 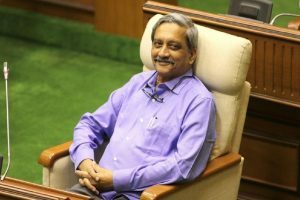 In spite of his failing health and deteriorating condition, Parrikar did not stop discharging his duties and continued to work from the state assembly. 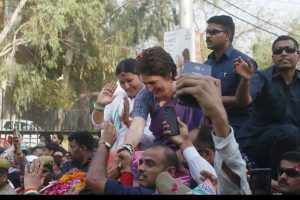 Congress General Secretary and eastern Uttar Pradesh in-charge Priyanka Gandhi Vadra on Sunday arrived here to meet party workers and office bearers ahead of her boat ride from Prayagraj to Varanasi.